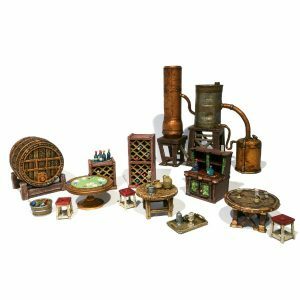 Hobgoblin-3D is proud to present to you the Raghaven Hamlet – Core Collection Bundle. 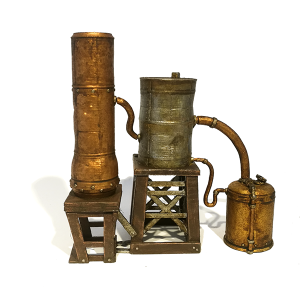 This 3D Printed Bundle has been digitally sculpted, scaled to fit 28mm systems and optimised for Home Use 3D Printing. 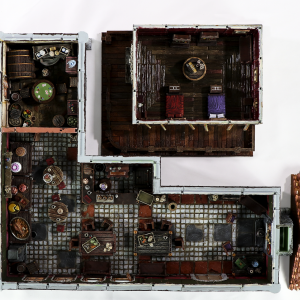 The Wobbly Goblin Tavern has been designed to be completely modular with over 180 unique STL files. Once built the Wobbly Goblin measures in at 50cm by 45cm in length and width allowing for interior gameplay. The roofs are completely modular and are able to be lifted on and off as needed to reveal the interior and the windows and doors can be open and closed as they work off our built in hinge system. Warning: This Product has sharp corners, please build with care. **EDIT** Instructions & Settings Manuals for the Tavern, Tim and Sign will be released on the 5th of April. 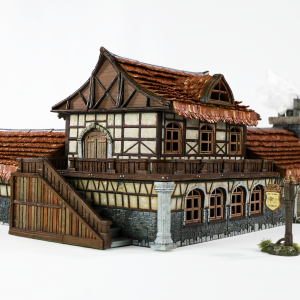 Hobgoblin-3D is proud to present to you the Wobbly Goblin Tavern from the Raghaven Hamlet Kickstarter Line. This 3D Printed Building has been digitally sculpted, scaled to fit 28mm systems and optimised for Home Use 3D Printing. 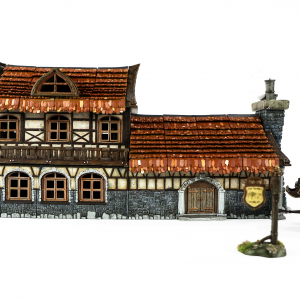 The Wobbly Goblin Tavern is the first in on Raghaven Hamlet Building Range. 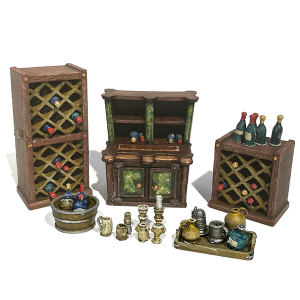 We have designed the Tavern to be completely modular with over 180 unique STL files. Once built the Wobbly Goblin measures in at 50cm by 45cm in length and width allowing for interior gameplay. 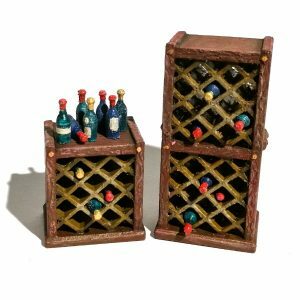 Hobgoblin-3D is proud to present to you the Intoxicated Bundle. This bundle pack contains a collection of our single items repackaged into a themed bundle pack. 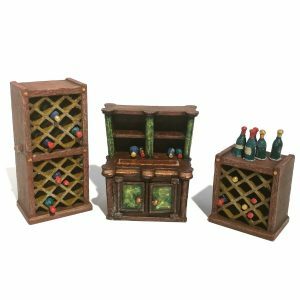 Each miniature in this bundle pack has been digitally sculpted, scaled to fit 28mm systems and optimised for Home Use 3D Printing. 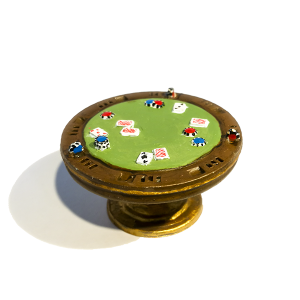 Hobgoblin-3D is proud to present to you the Gamblers Delight Bundle. This bundle pack contains a collection of our single items repackaged into a themed bundle pack. 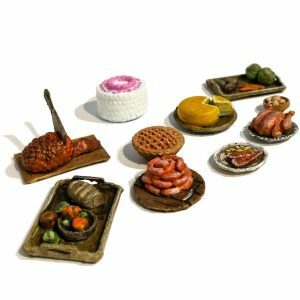 Each miniature in this bundle pack has been digitally sculpted, scaled to fit 28mm systems and optimised for Home Use 3D Printing. 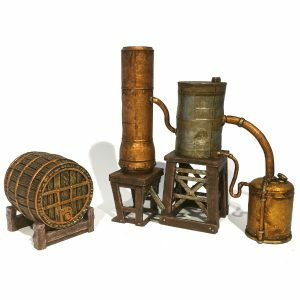 Hobgoblin-3D is proud to present to you the Brewers Bundle. This bundle pack contains a collection of our single items repackaged into a themed bundle pack. 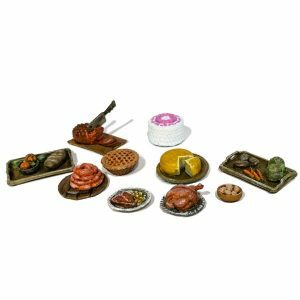 Each miniature in this bundle pack has been digitally sculpted, scaled to fit 28mm systems and optimised for Home Use 3D Printing. Hobgoblin-3D is proud to present to you the BarFly! Bundle. This bundle pack contains a collection of our single items repackaged into a themed bundle pack. 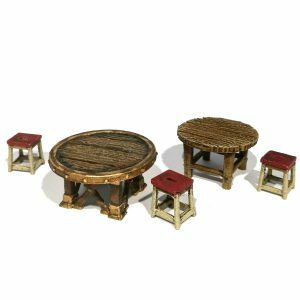 Each miniature in this bundle pack has been digitally sculpted, scaled to fit 28mm systems and optimised for Home Use 3D Printing. 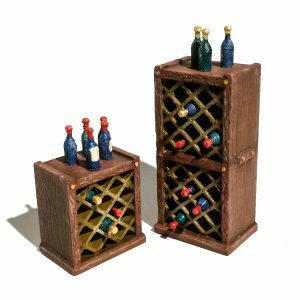 Hobgoblin-3D is proud to present to you the Wine Rack from the Raghaven Hamlet Kickstarter Line. 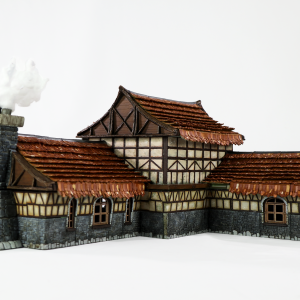 This 3D Printed terrain piece has been digitally sculpted, scaled to fit 28mm systems and optimised for Home Use 3D Printing. 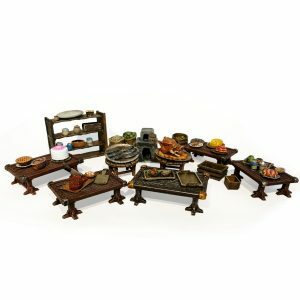 Hobgoblin-3D is proud to present to you the Tavern Tables from the Raghaven Hamlet Kickstarter Line. 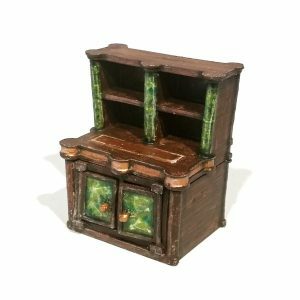 This 3D Printed terrain piece has been digitally sculpted, scaled to fit 28mm systems and optimised for Home Use 3D Printing. 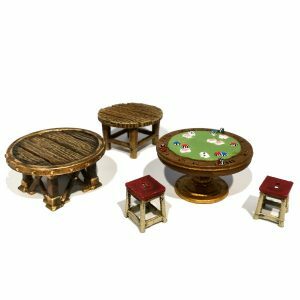 Hobgoblin-3D is proud to present to you the Poker Table from the Raghaven Hamlet Kickstarter Line. This 3D Printed terrain piece has been digitally sculpted, scaled to fit 28mm systems and optimised for Home Use 3D Printing. 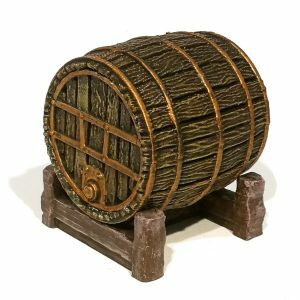 Hobgoblin-3D is proud to present to you the Large Cask from the Raghaven Hamlet Kickstarter Line. This 3D Printed terrain piece has been digitally sculpted, scaled to fit 28mm systems and optimised for Home Use 3D Printing. 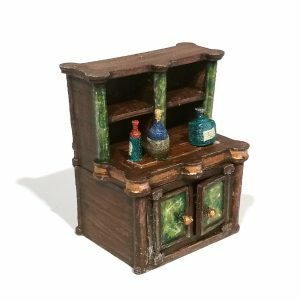 Hobgoblin-3D is proud to present to you the Drink Cabinet from the Raghaven Hamlet Kickstarter Line. This 3D Printed terrain piece has been digitally sculpted, scaled to fit 28mm systems and optimised for Home Use 3D Printing. 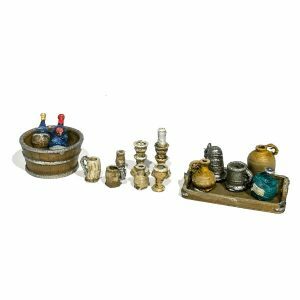 Hobgoblin-3D is proud to present to you the Drink Clutter assortment from the Raghaven Hamlet Kickstarter Line. This 3D Printed terrain piece has been digitally sculpted, scaled to fit 28mm systems and optimised for Home Use 3D Printing. Hobgoblin-3D is proud to present to you the Bootleggers Still from the Raghaven Hamlet Kickstarter Line. This 3D Printed terrain piece has been digitally sculpted, scaled to fit 28mm systems and optimised for Home Use 3D Printing. 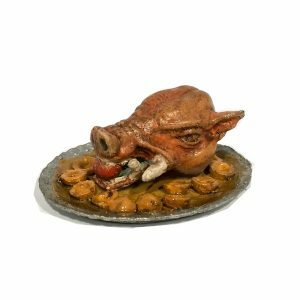 Hobgoblin-3D is proud to present to you the Well Fed! Bundle. This bundle pack contains a collection of our single items repackaged into a themed bundle pack. 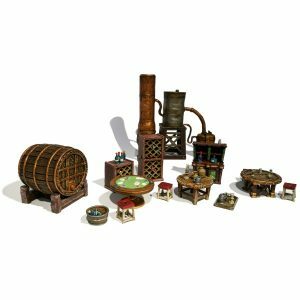 Each miniature in this bundle pack has been digitally sculpted, scaled to fit 28mm systems and optimised for Home Use 3D Printing. 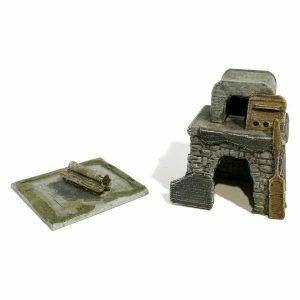 Hobgoblin-3D is proud to present to you the Tavern Oven from the Raghaven Hamlet Kickstarter Line. This 3D Printed terrain piece has been digitally sculpted, scaled to fit 28mm systems and optimised for Home Use 3D Printing. 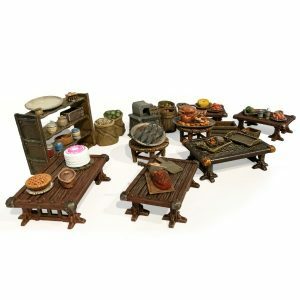 Hobgoblin-3D is proud to present to you the Food Clutter from the Raghaven Hamlet Kickstarter Line. This 3D Printed terrain piece has been digitally sculpted, scaled to fit 28mm systems and optimised for Home Use 3D Printing. 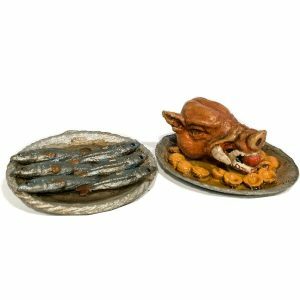 Hobgoblin-3D is proud to present to you the Food Platter from the Raghaven Hamlet Kickstarter Line. 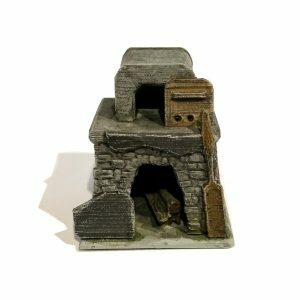 This 3D Printed terrain piece has been digitally sculpted, scaled to fit 28mm systems and optimised for Home Use 3D Printing.